Oh my! What are you doing to get that to happen so much? Both he and his clone have been to Sixam and met some aliens. They also have some of the Space Rocks (collected during rocket missions) on the lot. 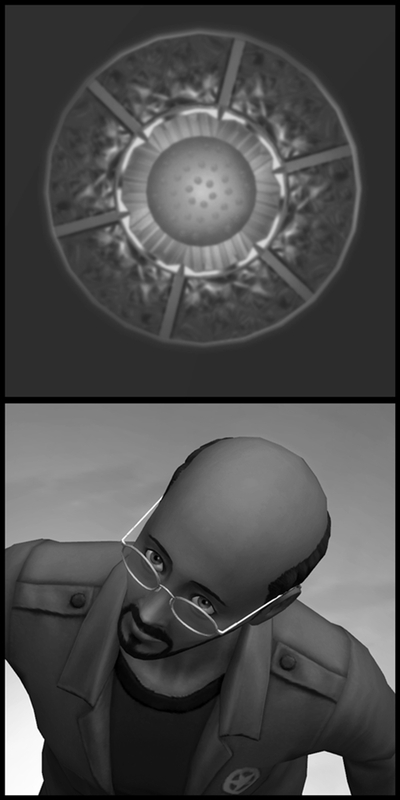 In Sims 2 they had the expensive telescope and in Sims 3 they had the space rocks. Sounds like it's a combination in Sims 4. 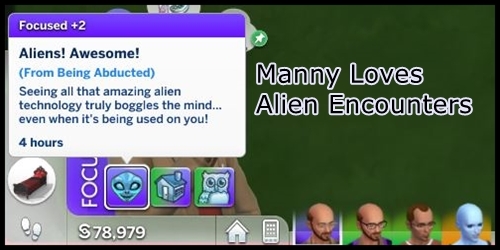 Maybe the aliens were confused at who the real Manny was and thought to be safe they should take them both. Lets hope they both don't have twins! No pregnancy this round Phew! 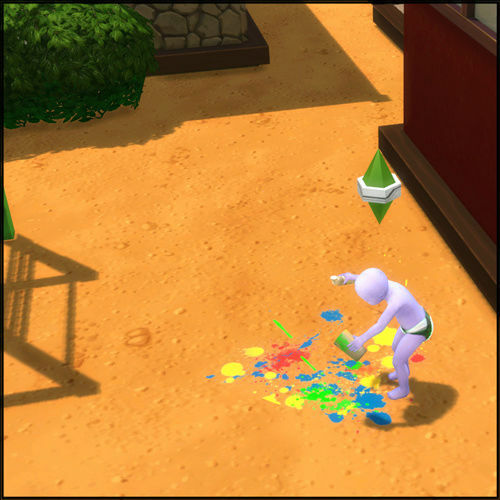 Fun Fact: A Clone created in this manner will have all of the gained traits but none of the skills of the original Sim. Gained traits are ones added by completing aspirations or being purchased using satisfaction points. The game creates a replica (clone) of the Sim and assigns a name to them. The new Sim automatically becomes a part of your household. This reminds me of the old bbc show called Red Dwarf. It was a sci-fi comedy type show. But in one episode one of the guys makes a whole planet of clones of himself, even the women look like him. It was pretty funny. I wonder if a clone could ever be a woman of if it is always the same as the original, in game. Loved Manny's story and your creativeness in designing this challenge! I too find myself not playing one family for very long anymore. It just seems to get boring after a while, maybe because there really isn't all that much to do besides, going to the same ole places, doing the same ole thing. Maybe that's why my sims always seem to cancel out their own actions because, well they are just tired of the same ole, same ole! 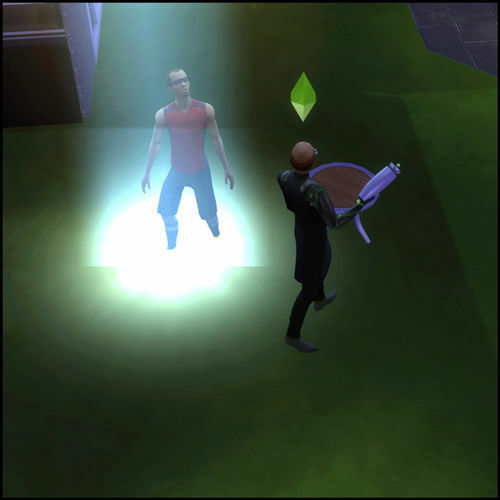 I hardly have a sim get abducted by aliens. It is so random. But I guess it is because I don't really try. That is one of my favorite gadgets in the whole game. 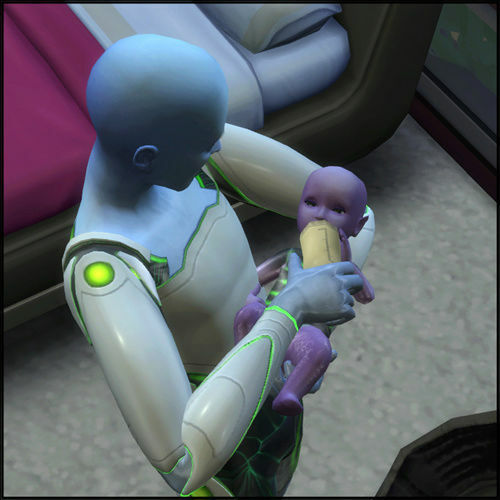 I have played other saves with no abductions whatsoever and the ones that do have abductions do not always result in Alien babies. Fun Fact: Only Male abductions result in pregnancy. 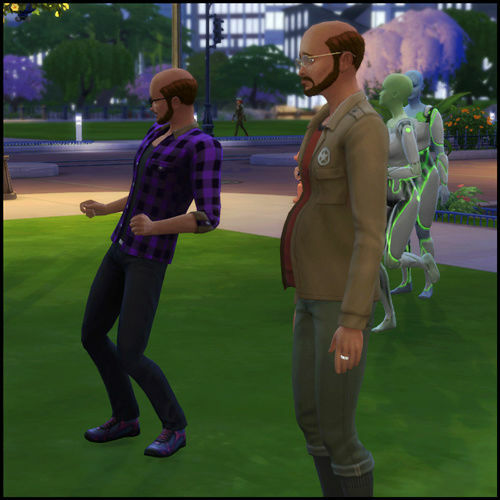 Unless you have some sort of Mod female Sims do not get pregnant via abduction. 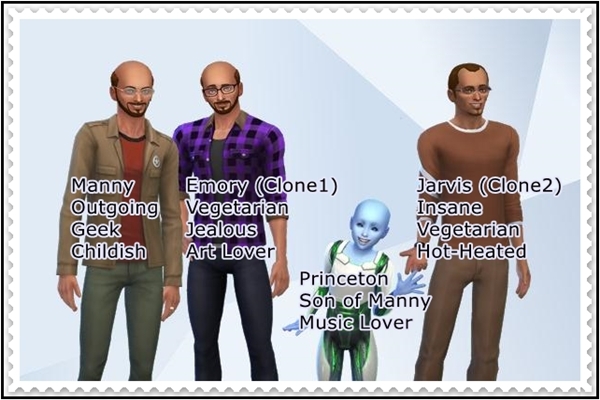 In my experience with at least three Scientist Sims the clones are exact duplicates in appearance and the same gender. The Aspirations and traits are usually random and do not always match the original Sim. In this save Manny already had earned or bought over a dozen extra traits. So the game did not immediately add the basic traits. I did use CAS.fulleditmode to change things like skin tone and and skin detail. I had missed Manny's birthday so he had aged to Adult. I decided against changing his age but I made Emory and Jarvis Young Adult. I could have turned one to female in CAS but that is always a questionable move and does not always revert back smoothly. Other stories of my gameplay that had either clones or alien babies. Olie was created as a blue Sim way before we could create actual aliens. So true and so interesting for us to follow. Thanks for the info on clones. I want to try and make one eventually. I also love keeping up with the "Mannies"
Great read! It's definitely interesting info. I think they are cute together. You may have guessed Manny's last abduction resulted in another "Weird Tummy Ache"
Big brother volunteers for bottle duty. Aww, a little girl to shake up the Manny 'man' clan. Her name is priceless. neila elamef very clever. I have had 1 female born from abduction and several male. 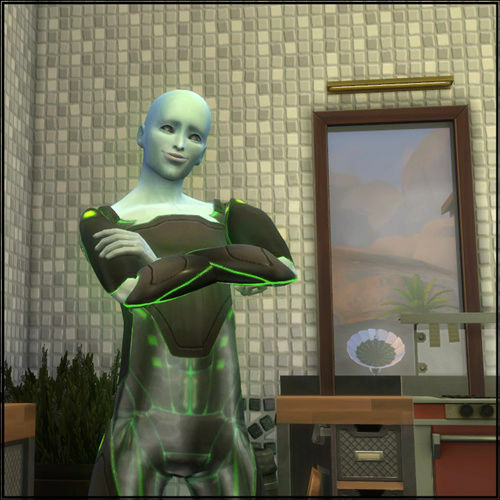 The Sims4 aliens are the best they ever had. I like them a lot. Little girls tend to wind the men in their life around their little finger. Manny and the clones are safely moved to another folder. Was having an issue with my game. Playing was fine but when I would save so I could quit the game froze up and quit working. A copy of my files including crash and last exception have been sent to EA to be reviewed. In the meantime a copy of my save with this family along with the Options.ini file have been saved outside of the game for safe keeping. 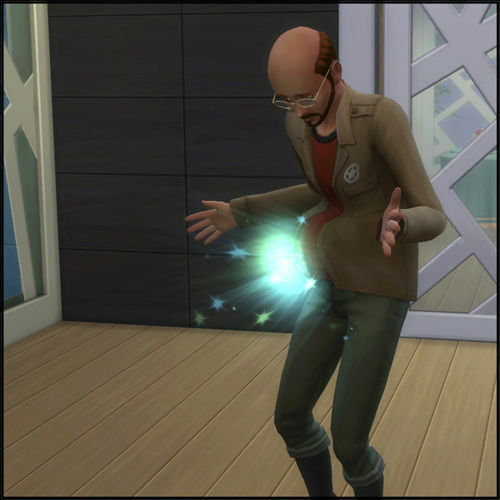 Then I deleted everything else inside The Sims 4 folder and only put back a copy of the Options.ini file. Playing a brand new save with a new Sim to see if the issue is resolved. I do hope the issue will be solved. They are such an interesting family.